The cheapest economy tickets typically receive the lowest tier points. Tickets in first class receive the most, and go down from there. Short haul flights get fewer tier points than long haul flights. There’s a magic distance and method to maximize tier points. 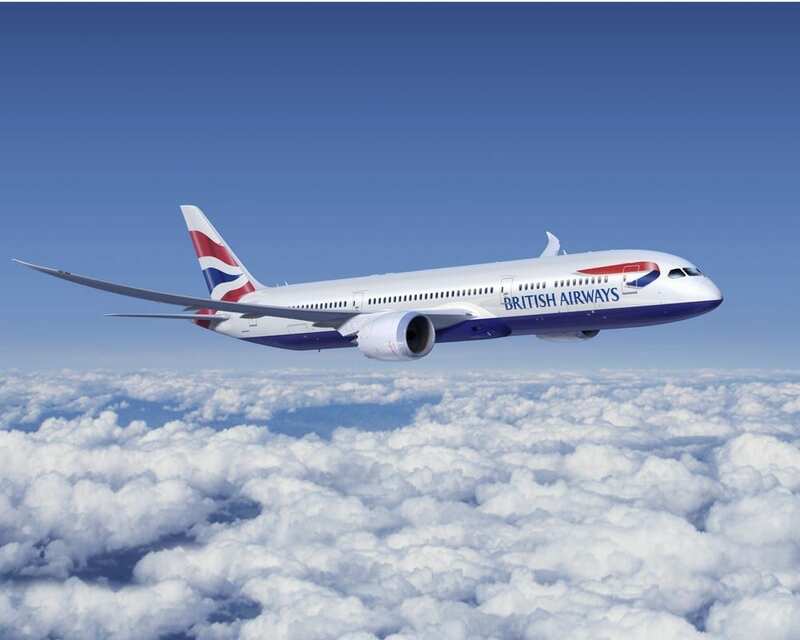 Where Can You Earn British Airways Tier Points? You can earn tier points when flying with any Oneworld airline, like Cathay Pacific, Qantas, Qatar, Iberia, American, Japan Airlines, Malaysia Airlines, Finnair and more. To do so, you simply enter your British Airways frequent flyer number, rather than join one of their loyalty programs. You can do so after booking as well. Just be sure to add it every time. What Do British Airways Tier Points Get You? Tier Points get you up the ranks of the Executive Club. It’s important to remember that your tier points earning year is unique to when you joined, and not based on something like January 1st to December 31st. Login to your Executive Club account online or in the app to see when your tier points collection year ends. For that matter, it begins again the very next day. You start at Blue with zero tier points, but once you earn 300 tier points you jump up to Bronze, which unlocks Oneworld Ruby status, which brings free seat selection and business class check in on BA and other airlines. It also helps give you priority in delays and other issues. At Silver, which requires 600 tier points in your earning year, you earn Oneworld Sapphire, which gets you lounge access and security fast track in addition to all Bronze, even when you’re flying economy. That’s true on all Oneworld airlines as well. You also move up the Priority Boarding order. Having lounge access on all trips is a game changer. 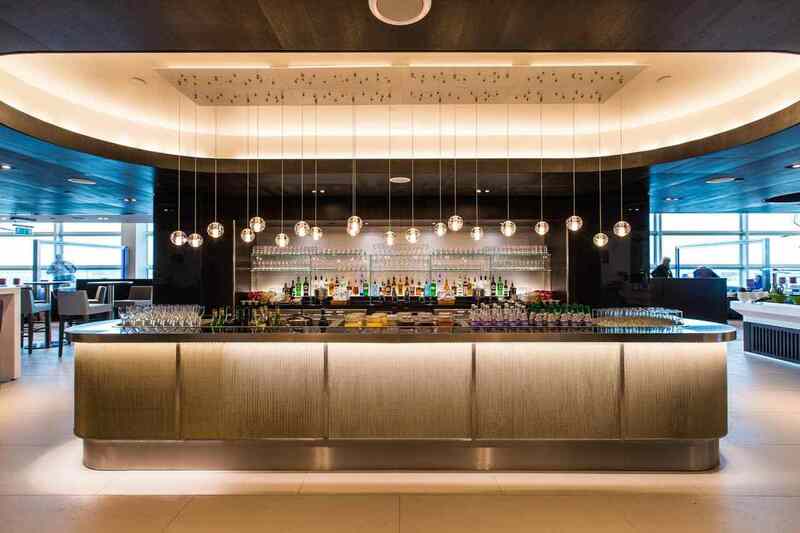 At Gold, you get all of the above, plus access to first class lounges from all Oneworld airlines, Zone 1 boarding and access to the (pretty sweet) First Wing at Heathrow Terminal 5. There are other cool perks as well. Each time you move up a tier, you improve your upgrade chances on any flight. How Do You Know How Many British Airways Tier Points You’ll Earn? Tier points range from a mere 5 points a pop one way on short haul economy, to 210 one way on long haul first class. The simplest and best tool for finding out how many tier points you’ll earn on any flight you take is a tool from British Airways actually called Avios Flight Calculator. You Simply enter the airline you’re flying, your current British Airways status and find your cabin. It’ll tell you how many tier points you earn on a one way basis, but also how many Avios, the points you can actually spend, which you’ll earn as well. Hot tip: When you accept a cash upgrade offer in the British Airways app or online, you receive the tier points of the higher cabin. Sometimes the extra tier points can help justify the expense. If you’re in Premium on a long flight and get a £299 upgrade offer, the bed and the tier points can be a steal. Side tip: You can also use GCMap.com to plug in each segment and see each distance, like LHR-JFK-SFO-HNL-LAX-BOS-LHR. Perhaps you’ve overheard people at a bar, or a boarding gate, but people go to extreme lengths to earn British Airways tier points. One way to earn many more, without actually traveling more frequently, is to build in as many connections as possible. You earn tier points on a per segment basis, so if you go from London to Los Angeles, you’d earn more tier points if you fly London to New York, then New York to Los Angeles, than you would just flying London to LA direct. It’s the same wherever you go, even on other airlines. For flights under 2,000 miles, you typically receive between 5-20 tier points per segment in economy and up to 40 in business class. At 2,000 miles however, that figure jumps staggeringly to between 20-70 in economy and 140 in business or 210 in first. In business class, a simple round trip earns 280 tier points on flights over 2,000 miles. That’s huge, but there are airlines which take it a step further. If you have a long a haul connection, like London to Doha, then Doha to Bangkok, you earn a whopping 280 tier points each way, or 560 round trip. Many airlines such as American, Qatar, Sri Lankan, Malaysia, JAL and Cathay can be excellent resources for finding these kind of itineraries. Points To Be Made created easily the best guide to 2,000+ mile tier points options. While these sort of things are obvious for flights like Europe to the USA, or Europe to Asia, there are amazing examples within Europe, within Asia, within the USA, Australia, Middle East and beyond which can bring incredible tier points sums without going all that far. For example: Helsinki to Malaga counts as a 140 tier point flight, which makes it equally rewarding as flying all the way from London to San Francisco. Muslims believe in God also. So why did you choose the Bible, instead of their book? Is it because you prefer Christians over Muslims? By the way, have you ever read the Bible? If you want to help people get a better understanding of BA points, the last thing you want to do is call your guide a Bible. Where would you enter the BA frequent flyer number? I’m an American Aadvantage member and when I book a flight, my Aadvantage number automatically shows up. Curious to see if I can get some assistance here. I’ve recently accepted a position based out of the US that will require significant foreign travel annually. The job will also require regular domestic travel. I’ve bounced between American Advantage Platinum Pro and Executive Platinum for the past 6 years and enjoy the perks of that! I’ve recently signed up for a BA Executive Club # but the first few flights I’ve booked (occurring in April) I’ve used my AA# for the Frequent Flyer space in the itinerary. I understand that I won’t earn Avios by doing this (instead getting AA Miles) but will I receive Tier Points? Am I better guaranteeing myself Executive Platinum AA ongoing or splitting the miles/points between the carriers. Booking my domestic flights with my AA# and my international flights with BA#? if you use your AA information on BA you get AA miles and AA tier points no BA tier points. tiers points and miles go together.